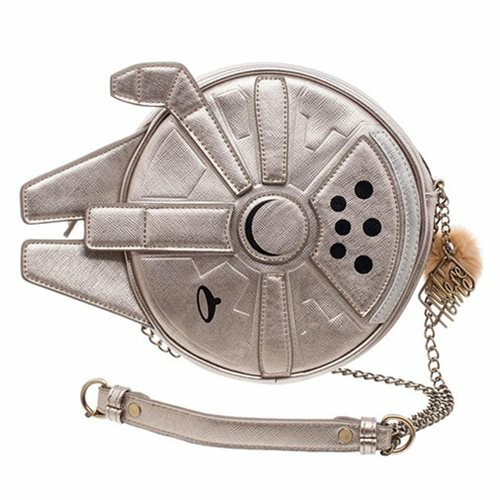 Whether you're headed back to school or out on an adventure, pack what you need in the Star Wars Millenium Falcon Crossbody Purse. 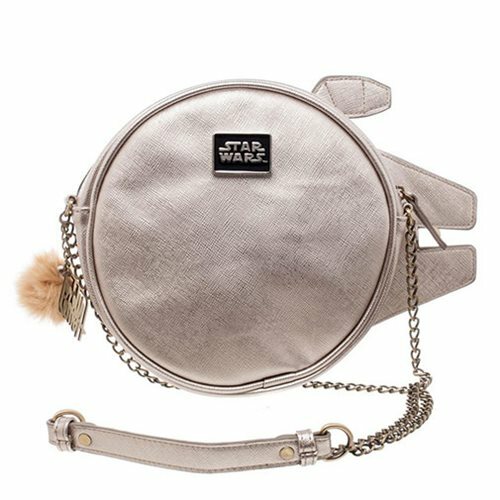 Complete with a chain shoulder strap, it features a zip closure and includes a faux fur charm. It measures approximately 8-inches tall x 8-inches wide x 2-inches long.